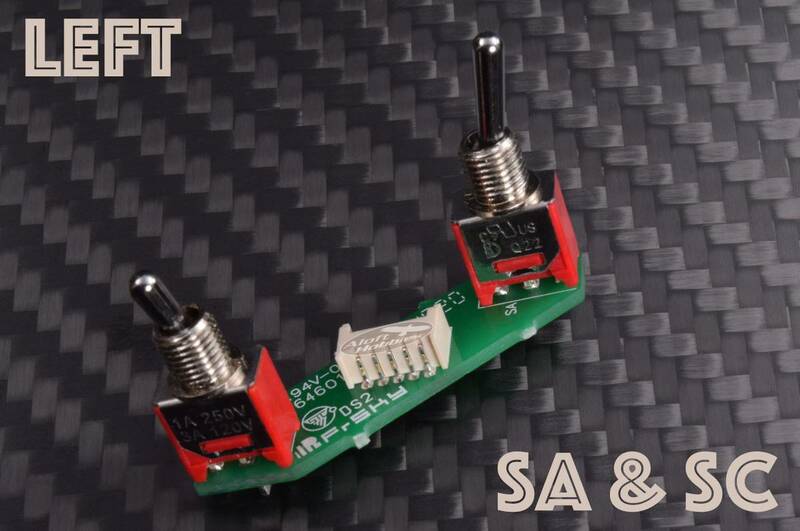 Within the X-Lite, Switches SA and SC and SB and SD are pre-soldered to their respective PC boards and as a result need to be replaced in pairs (see pics). Switches SA and SC are the Left Hand pair (Transmitter Left). 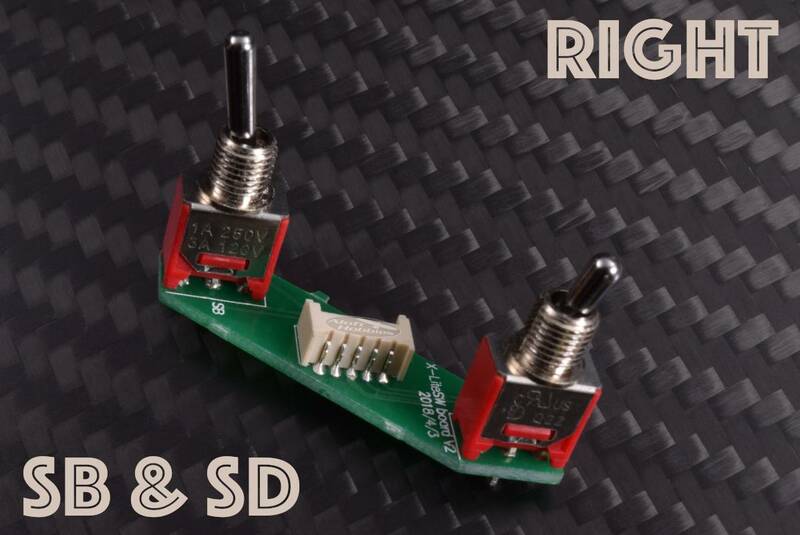 Switches SB and SD are the Right Hand pair (Transmitter Right). Choose Left or Right from the drop down menu above to choose the pair of switches you would like to purchase. The Switch Boards do not come with switch nuts so you will need to reuse the nuts from the original switches. No soldering is required to replace the switches.